Place bacon in a large, deep skillet. Cook over medium high heat until evenly brown. Drain, crumble, and set aside. Remove bacon from pan and saute okra, onion, pepper and celery until tender. Add tomatoes, salt and pepper and cook until tomatoes are heated through. Garnish with crumbled bacon, if desired. 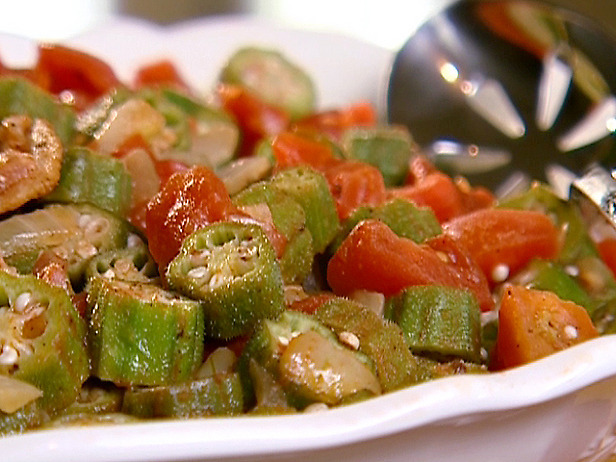 No comments for: "Okra and Tomatoes Recipe"